By finally settling on this story, Olson avoided a technological pitfall. Given the cell phone system employed in 2001, high-altitude cell phone calls from airliners were impossible, or at least virtually so (Olson’s statement that “the signals from cell phones coming from airplanes don’t work that well” was a considerable understatement). The technology to enable cell phone calls from high-altitude airline flights was not created until 2004.7However, Olson’s second story, besides being self-contradictory, was contradicted by American Airlines. The most serious official contradiction of Ted Olson’s story came in 2006 at the trial of Zacarias Moussaoui, the so-called 20th hijacker. The evidence presented to this trial by the FBI included a report on phone calls from all four 9/11 flights. 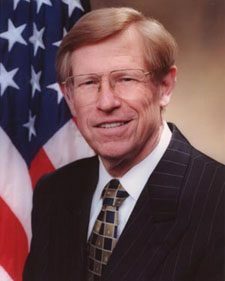 In its report on American Flight 77, the FBI report attributed only one call to Barbara Olson and it was an “Unconnected Call,” which (of course) lasted “0 seconds.”9 According to the FBI, therefore, Ted Olson did not receive a single call from his wife using either a cell phone or an onboard phone. Back on 9/11, the FBI itself had interviewed Olson. A report of that interview indicates that Olson told the FBI agents that his wife had called him twice from Flight 77.10 And yet the FBI’s report on calls from Flight 77, presented in 2006, indicated that no such calls occurred. This was an amazing development: The FBI is part of the Department of Justice, and yet its report undermined the well-publicized claim of the DOJ’s former solicitor general that he had received two calls from his wife on 9/11. This rejection of Ted Olson’s story by American Airlines, the Pentagon, and especially the FBI is a development of utmost importance. Without the alleged calls from Barbara Olson, there is no evidence that Flight 77 returned to Washington. Also, if Ted Olson’s claim was false, then there are only two possibilities: Either he lied or he was duped by someone using voice-morphing technology to pretend to be his wife.17 In either case, the official story about the calls from Barbara Olson was based on deception. And if that part of the official account of 9/11 was based on deception, should we not suspect that other parts were as well? 1 This essay is based on Chapter 8 (“Did Ted Olson Receive Calls from Barbara Olson?”) of David Ray Griffin, 9/11 Contradictions: An Open Letter to Congress and the Press (Northampton: Olive Branch, 2008). 2 Tim O’Brien, “Wife of Solicitor General Alerted Him of Hijacking from Plane,” CNN, September 11, 2001 (http://archives.cnn.com/2001/US/09/11/pentagon.olson). Larry King Live, CNN, September 14, 2001 (http://edition.cnn.com/TRANSCRIPTS/0109/14/lkl.00.html). 6 In his “Barbara K. Olson Memorial Lecture,” delivered November 16, 2001 (http://www.fed-soc.org/resources/id.63/default.asp), Olson said that she “somehow managed . . . to use a telephone in the airplane to call. ” He laid out this version of his story more fully in an interview reported in Toby Harnden, “She Asked Me How to Stop the Plane,” Daily Telegraph, March 5, 2002 (http://s3.amazonaws.com/911timeline/2002/telegraph030502.html). 8 See the submission of 17 February 2006 by “the Paradroid” on the Politik Forum (http://forum.politik.de/forum/archive/index.php/t-133356-p-24.html). It is quoted in David Ray Griffin, 9/11 Contradictions: An Open Letter to Congress and the Press (Northampton: Olive Branch, 2008), 75. 9 United States v. Zacarias Moussaoui, Exhibit Number P200054 ( http://www.vaed.uscourts.gov/notablecases/moussaoui/exhibits/prosecution/flights/P200054.html ). These documents can be more easily viewed in “Detailed Account of Phone Calls from September 11th Flights” (http://911research.wtc7.net/planes/evidence/calldetail.html). 10 FBI, “Interview with Theodore Olsen [sic],” “9/11 Commission, FBI Source Documents, Chronological, September 11,” 2001Intelfiles.com, March 14, 2008, (http://intelfiles.egoplex.com:80/2008/03/911-commission-fbi-source-documents.html). 13 9/11 Commission Staff Statement 16 (http://www.9-11commission.gov/staff_statements/staff_statement_16.pdf). 14 Shoestring, “The Flight 77 Murder Mystery: Who Really Killed Charles Burlingame?” Shoestring911, February 2, 2008 (http://shoestring911.blogspot.com/2008/02/flight-77-murder-mystery-who-really.html). 15 “In Memoriam: Charles ‘Chic’ Burlingame, 1949-2001,” USS Saratoga Museum foundation (available at http://911research.wtc7.net/cache/planes/analysis/chic_remembered.html). This article is based on Chapter 8 of Dr. Griffin’s new book, “9/11 Contradictions: An Open Letter to Congress and the Press,” (Northampton: Olive Branch, 2008). “9/11 Contradictions” may have the best chance of any of DRG’s books (or indeed any book) of opening up a new investigation into 9/11.